Todd Strong worked as lead trainer for the New Games Foundation, a nonprofit organization that teaches personal and professional development by bringing people closer together through play. 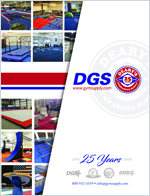 In this position, he traveled throughout the United States conducting workshops, during which he was able to collect and try out parachute games in many settings and with different groups. As the foundation’s program director, he planned and promoted New Games and New Games workshops worldwide. A past chairman and director and current active member of the International Jugglers’ Association, Todd has authored many books on juggling, including The Devil Stick Book, The Dice Stacking Book, The Diabolo Book, and Diabolo for Advanced Players. He taught juggling as a Jonglierlehrer in Germany and as a professeur de jonglerie at the national circus school of France, in addition to many short courses and workshops throughout North America and Europe. Todd’s education seems to be on a northward drift. He earned a bachelor’s degree in recreation from California State University at Hayward, a master’s in experiential education from Mankato State University in Minnesota, and a master’s in adult education from the University of British Columbia in Canada. Dale N. LeFevre, a native of Wisconsin, started working in San Francisco as a volunteer with the nonprofit New Games Foundation in 1975. By the start of 1976 he was office manager and associate director. In 1977 he formed his own project, which took New Games into schools. In 1979 he left the United States for eight years to promote New Games around the world, presenting workshops in every major European country plus South Africa, Israel, India, Japan, Australia, and New Zealand. 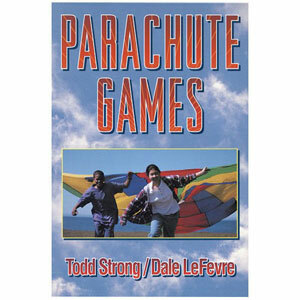 LeFevre’s previous publications include New Games for the Whole Family (eventually published in five languages and due to be reprinted under a new title) and Parachute Games. He has also produced or coproduced the New Games CD-ROM and several videos, including The New Games Video, New Games From Around the World, Rainy Day Games, Sunny Day Games, New Soccer (For Fun and Skills), Cooperative Group Games, and Skill Games. 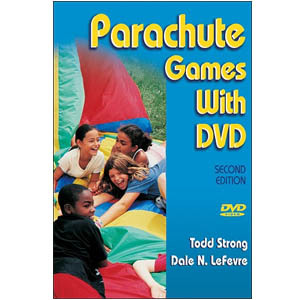 His latest production is The New Parachute Games Video, which was just made into The New Parachute Games DVD. On the immediate horizon are two more DVDs, Cooperative Games DVD and The New Games DVD. LeFevre has founded a new company, Playworks, which works with businesses to use New Games to improve communication, build stronger teams, and reduce stress. LeFevre holds a master’s degree in education from New York University and a bachelor’s degree in business from Valparaiso University. In his free time he enjoys gardening, hiking, biking, and camping. As of 2006, he lives in Sheffield, England. Reference for K-12 physical educators and for recreation leaders working with participants of all ages.